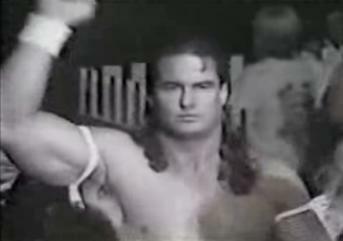 Other Names: The New Spoiler, The Hood(WCCW), The Black Knight(WWF), Akeem Hassain, "Missouri Tiger"
- GWF Television Title Tournament (June '91) = Jeff Gaylord lost in the first round to Rasta the Voodoo Mon. The Patriot won the tournament. - GWF Tag-Team Titles Tournament (July '91) = Gaylord & the Blue Avenger lost in the first round to Johnny Ace & Bill Irwin. Steve Simpson & Chris Walker won the tournament. - GWF North American Heavyweight Title Tournament (August '91) = Gaylord lost in the first round to John Tatum. The Patriot won the tournament. - USWA Tag-Team Title Tournament (January '93) = Gaylord & Reggie B Fine lost in the first round to Danny Davis & Moondog Spot. The Harris Brothers won the tournament. - USWA Caged Kings (August 29, '93) = Gaylord pinned Colin Scott. - USWA Tag-Team Title Tournament (October 25, '93) = Gaylord & Mike Anthony lost in the first round to the Moondogs. Brian Christopher & Jeff Jarrett won the tournament. - USWA November Blast (November 15, '93) = Gaylord & Mike Anthony won over PG-13. - WWF Survivor Series '93 (November 24) = The Black Knight, the Blue Knight, the Black Knight, & Shawn Michaels lost an "Elimination" Match to Bret Hart, Bruce Hart, Keith Hart, & Owen Hart. - USWA Memphis Memories (March 7, '94) = Gaylord, King Cobra, & Spellbinder fell to Skull von Crush & the Nightmares. - USWA Tag-Team Title Tournament (April 23, '94) = Gaylord & Spellbinder lost in the first round to the Eliminators. Brian Christopher & Eddie Gilbert won the tournament. - AWF Tag-Team Title Tournament (May '95) = Gaylord & the Warlord fought to a Double Disqualification with Hercules Hernandez & Curtis Hughes. Tommy Rich & Greg Valentine won the tournament.